The Pound Sterling has appreciated by 2.53% against the Australian Dollar since February 5. The currency pair breached both the 50-, 100-, and 200-hour SMAs during this time period. 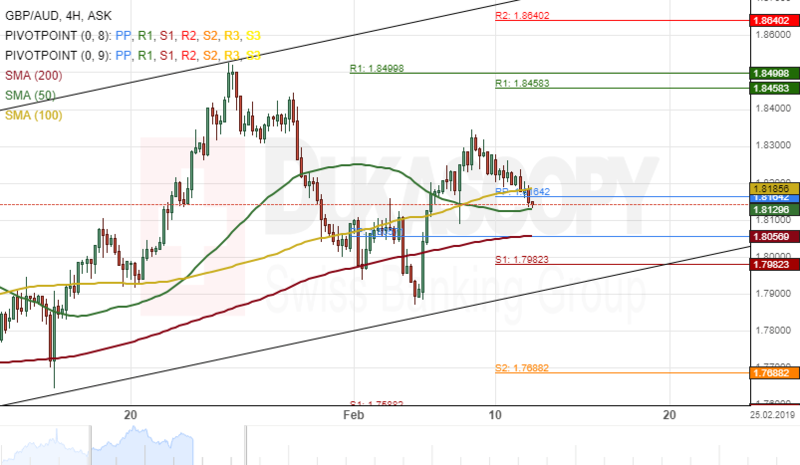 Currently, the exchange rate is testing a support cluster formed by the combination of the weekly pivot point and the 100-hour simple moving average at 1.8181. If the cluster holds, it is likely that a short-term surge occurs during the following trading sessions. Although, if the currency exchange rate passes the support cluster as mentioned earlier, a decline towards the lower boundary of an ascending channel at 1.7900 could follow.